An exterminator hired by Industry City trapped a cat colony and released the felines into two Brooklyn parks. SUNSET PARK — An exterminator at Industry City trapped a feral cat colony, abandoned the felines in two Brooklyn parks, and left an opossum trapped in a cage without food or water for roughly two days, leading employees to accuse the Sunset Park complex of animal cruelty. Squashed Exterminating was hired by Industry City to handle pest control for the network of warehouse buildings-turned-office space, according to Industry City spokeswoman Lisa Serbaniewicz and a representative for the exterminator. After discovering a "massive flea infestation" in some of the property's basements, Squashed suggested removing more than a dozen stray cats from the area, said Mac Weinles, manager of the Brownsville-based exterminator. 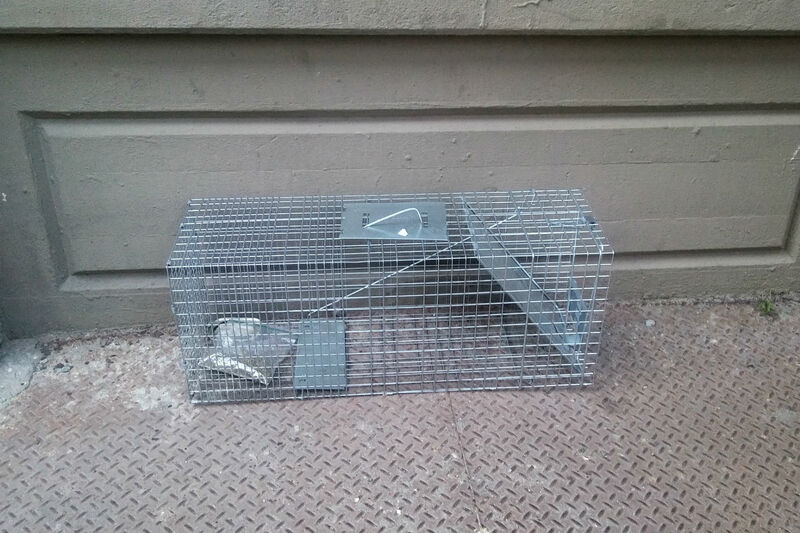 In recent weeks, cages were placed throughout the complex baited with food to catch the felines, which were then released in Leif Ericson Park in Bay Ridge and Marine Park, according to Weinles. “We know the importance of making sure the cats were cared for properly,” the manager said. “We facilitated a respectful removal." But releasing animals without shelter or a source of food and water can be considered abandonment under cruelty to animals laws set by the state Department of Agriculture and Markets. If prosecuted, punishment can include a year in prison for a misdemeanor charge or result in a fine of up to $1,000. 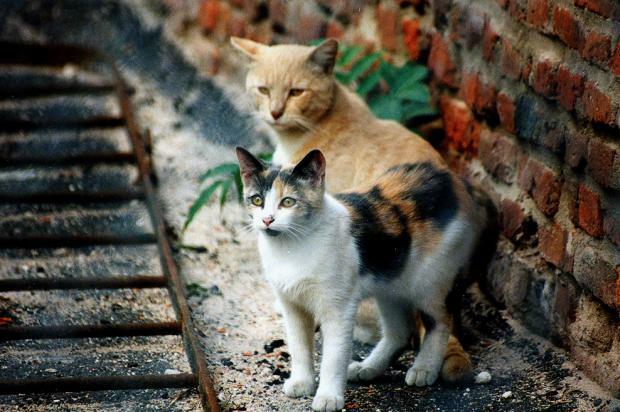 News that the cats were dumped across the borough has outraged Industry City's tenants and employees who cared for the colony over the years. "It's a travesty. To me these cats are priceless," said Mariana Nuziale, who has been a tenant at Industry City since 2012 and who has been working with an organization to trap, neuter and release the felines. "We went to search for the cats, and it’s a needle in a haystack. Those cats are gone." Industry City condemned the exterminator's recent actions and said they have since been fired, CEO Andrew Kimball said. Building management has also enlisted its security team in trying to discourage the cat colony. A pair of guards contracted through the security company A-Team told their union representative that on Sept. 15, management asked them to stop people seen feeding strays behind Building 19 off of Second Avenue and 41st Street, according to Robert Stevens, the staff's union liaison for the Security Alliance of Federated Employees Union Local 642. Later that weekend, a trap managed to catch an opossum. Security staff discovered the animal trapped in a raccoon cage early Saturday, Sept. 16, said Jennifer Petito, who has worked as a guard for Industry City for the past two years. 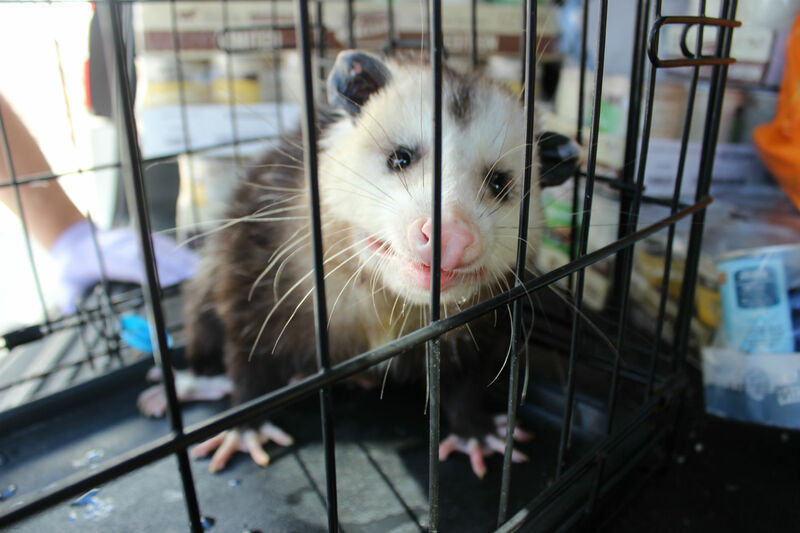 By the next evening, the opossum remained in the cage with no food or water, she said. "The opossum was terrified and it was just left there all weekend," said Petito, who patrols the property on weekends. "On Sunday I called my friend to help, because we had to do something." Animal rescuer James Guiliani, accompanied by Petito, said he came and took the marsupial to Bensonhurst, where he has been nursing it back to health by feeding it grapes. He also posted about the rescue on Facebook. The opossum — who Guiliani named "Lucky" — will be handed over to a state licensed wildlife rehabilitator this week, he added. He did not have the necessary papers to remove the animal, but Guiliani did not want to risk its safety by leaving Lucky's fate up to the company that laid the trap. "It breaks your heart," Petito said. "It's not right and people need to know what happened."